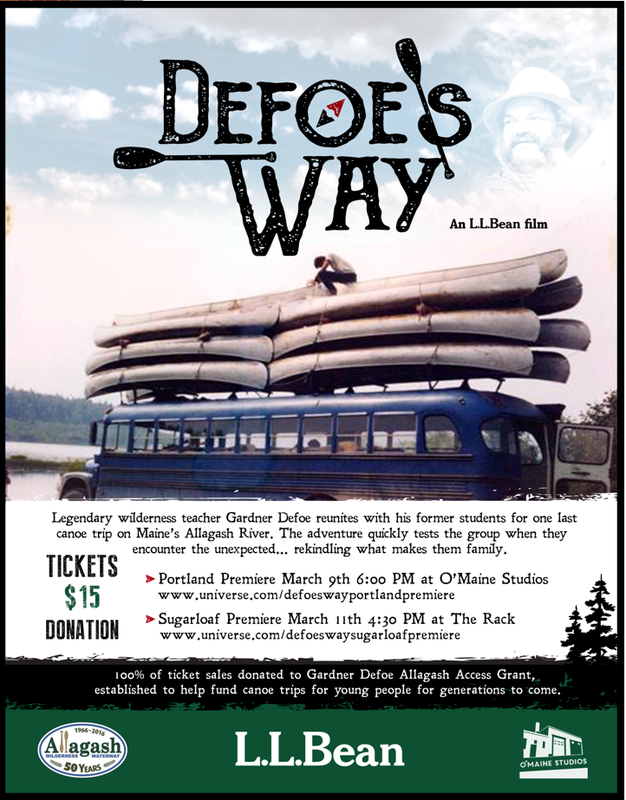 Film footage from the documentary film, Defoe's Way, featuring what may be Maine Guide Gardner Defoe's last run of the Allagash River. The film will be premiered on March 9 in Portland and on March 11 at Sugarloaf. Gardner Dafoe from the film Defoe's Way. KINGFIELD - Master Maine Guide, Gardner Defoe, has dedicated his life to inspiring adolescents to love and feel comfortable in nature. Raised in Dixfield, Defoe began spending his summers at Camp Kawanhee in Weld at age five. He would spend the next 17 summers learning how to swim, canoe, fish and live in the deep woods. Defoe went from being an excited young camper to head staff of the water program and attributes his life’s passion to the times spent on Webb Lake. “Being at Kawanhee those 17 years made me realize why I wanted to work with young people,” Defoe said. 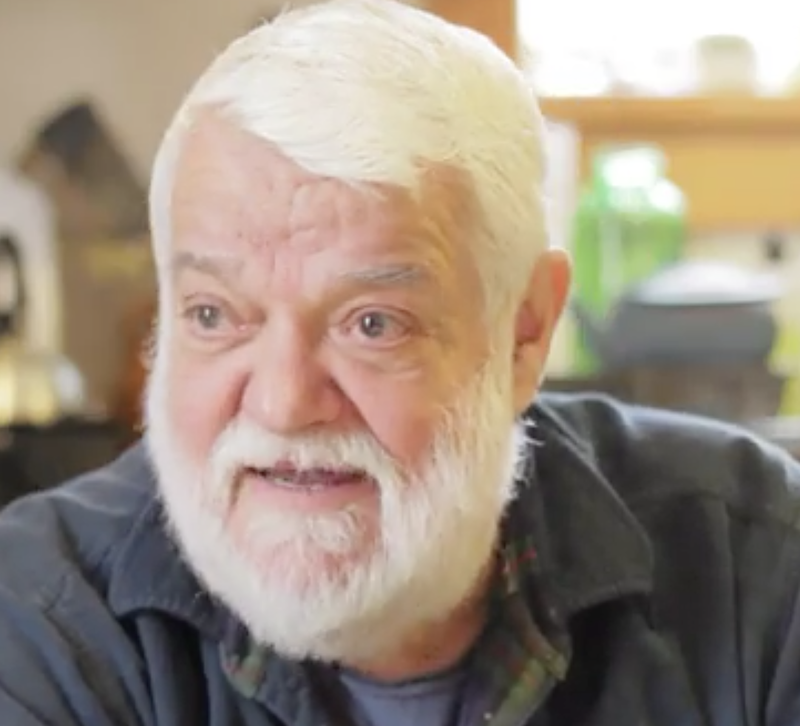 After graduating from Dartmouth College in 1958, Defoe began heading towards his masters degree in Vermont until the woods of Maine drew him back home. Knowing he wanted to open a wilderness canoeing program, Defoe bought a small island near Jackman and quickly began organizing for the opening of Birch Island Camp. “Canoeing the Allagash River is a magnificent opportunity. I was so fortunate to start when I did. 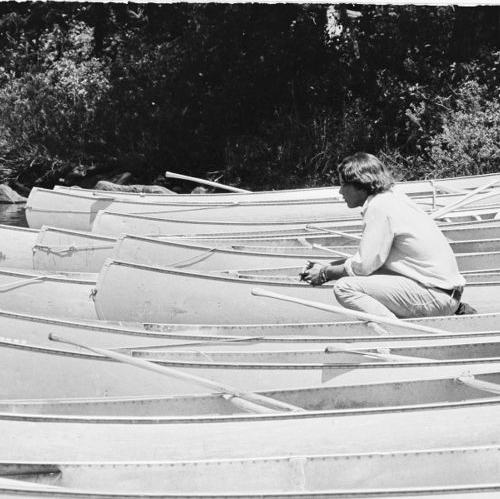 The first time I ever ran it I was alone with a 16-foot canoe,” Defoe said. Defoe ran the river for the next 25 years, leading groups of young adults on three- or five-week excursions that not only taught them the paddling and camping skills needed for such a trip, but also the fundamentals of teamwork, communication and responsibility. “My modus operandi was to utilize the woods as an opportunity to impart information to young people. It really works. Even 40 or 50 years after it's happened, you can see that it worked,” Defoe said. “When you take a young person and put them in a situation that requires as much of them as possible, where you have 10 or 15 miles to do every day and they have to do it, it actually works. It’s very difficult to impose that in the academic environment,” Defoe said. Not only did Defoe spend his summers imparting his knowledge and wilderness appreciation with teenagers, he also initiated a ski program for youths living Franklin County that provided them with a healthy activity on weekends and school vacations. The camp hosted more than 140 young skiers every year, many of whom went on to become staff members. But much of that excitement has settled down for Defoe who, at 82, is beginning to feel the years. He still spends as much time as possible in the woods, and still advocates for kids to get outdoors and to mark the Allagash Wilderness Waterway’s 50th anniversary, Defoe recently made what could be his last run of the river. “People all over the world wanted to go on this trip,” Defoe said. With good reason, considering the run not only marks the birthday of the Waterway, but a celebration of Defoe’s dedication. The trip was so special that the documentary film, Defoe's Way, was made, produced in collaboration by LL Bean and O’Maine Studios. “I’ve coached hundreds and hundreds and hundreds of people, who are now all over the world,” Defoe said. Only 20 of Defoe’s hundreds of students were invited to join the trip and that was pushing it considering the Wilderness Waterway now has strict regulations on group sizes. The trip was a remarkable one, including an emergency evacuation of a paddler from a different party. The documentary will be premiered locally at The Rack restaurant on Sugarloaf in Carrabassett Valley on Saturday, March 11. All proceeds from tickets will go towards the Gardner Defoe Allagash Access Grant, funds that will allow more young people to get experience the wilderness. For tickets to the premiere, click here. Much admiration from devotees of Camp Kawanhee, of Webb Lake, of the Allagash and the Maine wilderness. Wow! Impressed. Sure wish my grandsons could have experienced this with you. Never forget that summer buddy!! A summer adventure I'll never forget! You gave all the campers memories for a lifetime!